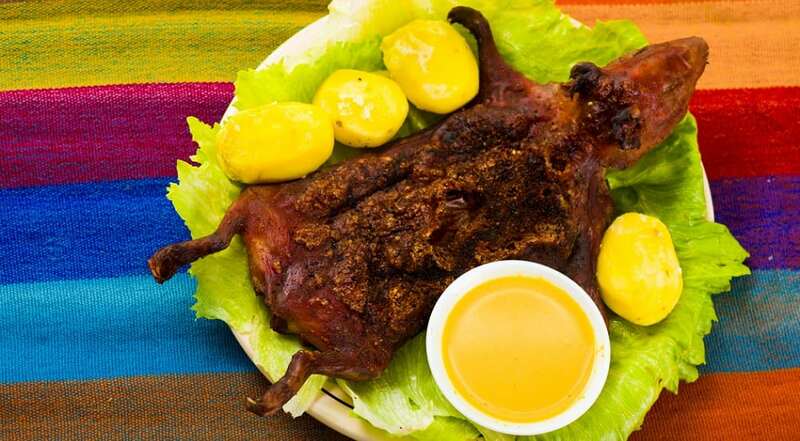 Cuy Bien is a traditional dish and a major part of the Peruvian diet. It is also eaten in Ecuador. A roasted guinea pig is high in protein and very low in fat. Its taste has reportedly been compared to a number of different meats including, the dark meat of chicken, rabbit and even rat.